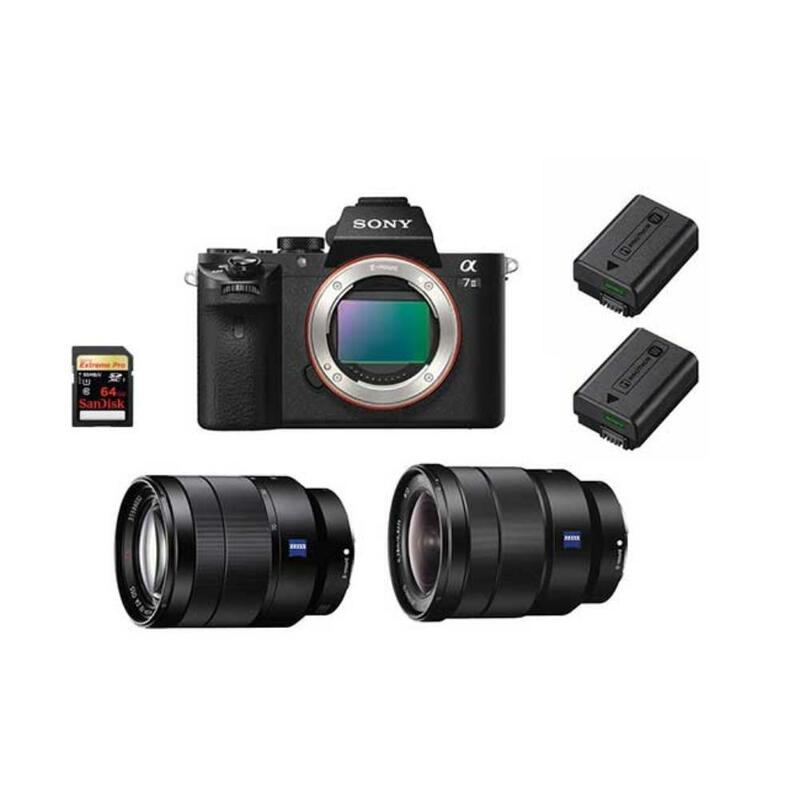 The Sony a7 II Wedding Package is a very portable, high quality setup that includes everything you need to shoot a wedding or event. The 16-35mm lens provides coverage for interiors, large group portraits, and sets the scene for any environment. The 24-70mm is an extremely versatile "walking around" lens that is as suitable for portraits as it is candids. At 70mm, it is long enough for most balcony shots during a ceremony. The 90mm macro is a great choice for small details – like rings and flowers. It also makes a superb portrait lens and produces beautiful out-of-focus backgrounds. The camera itself is ruggedly built, lightweight, and produces steady handling in almost all shooting situations. The tiltable LCD can be used even in bright, direct sunlight thanks to WhiteMagic™ technology that nearly doubles the brightness of the display and also produces more accurate whites during preview – perfect for outdoor events. It sports an enhanced Hybrid Autofocus system that combines a 117-point, phase-detection AF system with a 25-point contrast-detection system for high speed and accuracy and can smoothly and quickly track fast-moving subjects throughout the frame. The a7 II also has a high maximum ISO so that you can capture natural lighting even in the evening and indoors. The camera's built-in WiFi and NFC makes for easy file transfer and connection to a smartphone, which is a good feature to have for backing up files at your event. This package also comes with (2) batteries and (1) SD card. This SD card is fast enough to record video as well as stills. It is also recommended that you rent extras for any long event! Please see our Spec and Notes tabs for more information. • We make every attempt to have a fully charged battery for you but we can’t guarantee it 100%. If you need a fully charged battery, please request it via the order notes. This package comes with a spare battery. It, too, might not be fully charged when you receive it.